The Braves have worked very hard to include a fun space for our kids! As with the rest of the ballpark, this area has been well thought out and carefully designed. Now when your kids come to a game, they will get to enjoy so many amenities that SunTrust Park has to offer. The Braves, in partnership with Children’s Healthcare of Atlanta, have come up with a fabulous kids’ zone called ‘Hope and Will’s Sandlot’. It is located behind sections 151-155! As always, there is a Braves Kids Club membership so your kids can be a part of the team! A premium membership is $25 (per membership) or there is a free membership option as well. When you buy a Premium Membership, there are several really great benefits and prizes that include a Dansby Swanson jersey and much much more. Check out all the info at Braves.com/kids. And be on the lookout about how you can reserve your times in advance for all the fun games and activities you will see here. In the meantime, let me show you around…. The ‘Hope and Will Climbing Tower’ is a fun climbing tower has a large Braves helmet at the top (seen below)! I’m sure we’ll be spending a great deal of time here. You will see here a close up of the “loading dock” for ‘Hope and Will’s Pop Flyer Zip Line’! It looks like loads of fun! This is ‘Hope and Will’s Pop Flyer Zip Line’. This is the loading area where fans get strapped in and zip line down. The building behind this is a hotel that will open in 2018. What a great space! This is a great view of the First Base Dash, (where you can time how fast you can run), the Pop Flier Zip Line, and Climbing Tower. The building you see to the right of this frame is a hotel that will open in 2018! Kids have their own Braves Clubhouse Store! I loved this game as a kid! This is Hydration Station. Players get to race by spraying water in the holes, (which raises the baseball), to see who gets to the top first. At ‘Strike Zone’, you get to see what it is like to hit a home run at SunTrust Park! This is a game called, ‘Pick ‘Em Off’… Players will shoot a ball into the hole and whoever has the most balls go in, wins! Kids even get their own snack and dinner spot! I’m sure we will be spending a great deal of time here, too. Thanks for letting me show you around the Kids’ area! It’s going to be a really fun season! We’re back at it! Fall Baseball has started up. Softball too. We are so busy running from one practice to another… and Marching Band also. We will sleep when our kids are in college.. hopefully. LOL This is why I haven’t posted in a while…life has been so busy for us. With our season underway, it got me thinking about how busy we are and how to best use our time. Our practice time also. We’ve seen several different coaching styles through these last 16 seasons that our kids have played baseball/softball. Most of them my husband and I were in charge of. Some teams, we have been coached by others. It’s interesting to see the differences in coaching styles but this is what I’ve seen work best. Have a Practice Plan and Stick to it. Seriously…Write it out. Schedule in every little thing. Do you need to talk about something? Schedule adequate time. Do you need to teach a certain skill? Allow time to teach and execute. We’ve seen so many practices where kids are on the field standing around where one kid has batting practice. There are so many things to work on. Set Skill Stations! Depending how many coaches you have or talented baseball dads that can help (please don’t ask just anyone), it’s a good idea to have small groups go to 3 to 4 different stations to work on basic fundamentals. This way all of your players are working on something at the same time and no one is standing around. Rotate stations about every 10-20 minutes until everyone has had a chance to be in all stations. It is so important to practice the basic fundamentals at every practice for success in a game. And don’t waste your time practicing something that really doesn’t matter (like pick-off plays) if your team can’t do the basics like catch a fly ball or throw accurately to get someone out on base. Don’t Talk Too Much! If you need to explain something or talk to your team, allow time for that. Often times, we have seen coaches that will talk and talk and talk and lose valuable practice time, instead of cutting off their speech at a suitable amount of time, when their team is zoning out. If you talk too much, your players will lose interest. And I’m a big fan of the best baseball players being the best listeners! Is your athlete coachable? But… speeches should be efficient, effective, short, and sweet. 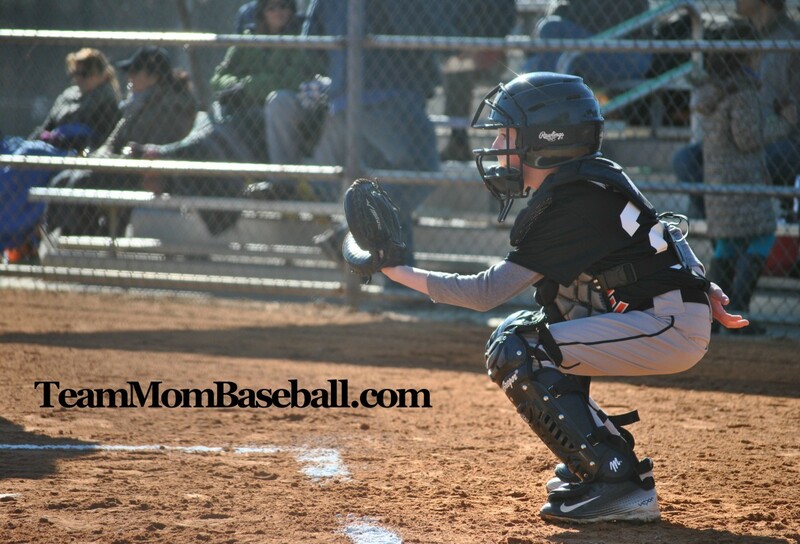 Parents are happier when they see their kids working hard at practice instead of seeing them stand around at the chance of a ball coming their way. Parents also want to feel better at how they and their child are spending their time. As a coach, you want to teach your players the game of baseball by working on the skills needed to play. The game of baseball/softball can be slow… and practices can be also. If you let it. Let’s give our kids the tools needed to play in such an efficient way because, let’s face it, we’re all busy, and time is short. Enjoy. Live. And Play Ball.